If you accept cryptocurrency payments, volatility can compromise your business. Here are 5 strategies to protect yourself from it. Last year was an eventful one for the cryptocurrency market, values soared and fell at unprecedented rates due to low market capitalization of the market and the lack of regulatory clarity. The dramatic fluctuations in value enable entrepreneurs to make huge gains, or losses in a very short space of time. If your company accepts cryptocurrency as a form of payment you’ll know that these fluctuations can be bad for business as you aren’t able to predict the value of each transaction. This creates headaches for finance teams as they can’t correctly record transactions in the company accounts. The number of companies that accept cryptocurrencies as a form of payment currently stands at 10,000 globally and is growing. These are the five strategies that we recommend to guard against volatility. This consists of betting on the rise of a stock. This is the most well known and simplest strategy, it consists in holding the coins in the hope that their price may rise above the price you bought them for in the future. In order to use this strategy, you need to have a good understanding of how the cryptocurrencies you accept as a form of payment work. We are highlighting this for educational purposes only and to make you aware that some entrepreneurs only accept crypto to make a profit. Futures are contracts that allow investors to “bet” on the future value of an underlying asset. For example, an airline can bet that at a certain point in the future, the price of fuel will increase from what it is at the moment. If the airline wins the “bet” it will help to mitigate the losses he will suffer in the meantime because it is buying fuel at a higher price than usual. If its prediction turns out to be wrong, the loss will be mitigated by the fact that the fuel continues to cost little. Futures, therefore, are often used as a tool to protect individuals and institutions against fluctuations in the price of raw materials, as well as digital currency. Since the end of 2017 it is possible to buy bitcoin futures, so an entrepreneur who wants to keep his bitcoins in his wallet, can go short on futures to try and compensate for market fluctuations. This is a very sophisticated strategy and isn’t suitable for all everyone. You will need a CFO and a large finance team to pull this off. Stablecoin is a type of cryptocurrency that does exactly what it says on the tin – remain stable. Its value is anchored to more stable tradable assets such as fiat currencies or commodities. This is a great strategy for entrepreneurs who want to maintain a neutral position whilst holding onto their crypto. You can receive bitcoin for example and convert it into stablecoin. This is the most common strategy, where someone obtains crypto and quickly converts it into fiat currency. This may seem like a practical solution, but it has its downsides, most notably the cost of the conversion procedure which can vary depending on the time it occurs. This last technique is the most widespread at the moment, above all for another important reason: the accounting of the amount received in the budget. In fact, up until now, resorting to an instantaneous conversion was the only way to prevent volatility from influencing the value to be included in the accounting records. It’s common for entrepreneurs who have crypto to diversify their portfolio by using all the aforementioned strategies simultaneously, thereby reducing or increasing the level of risk. 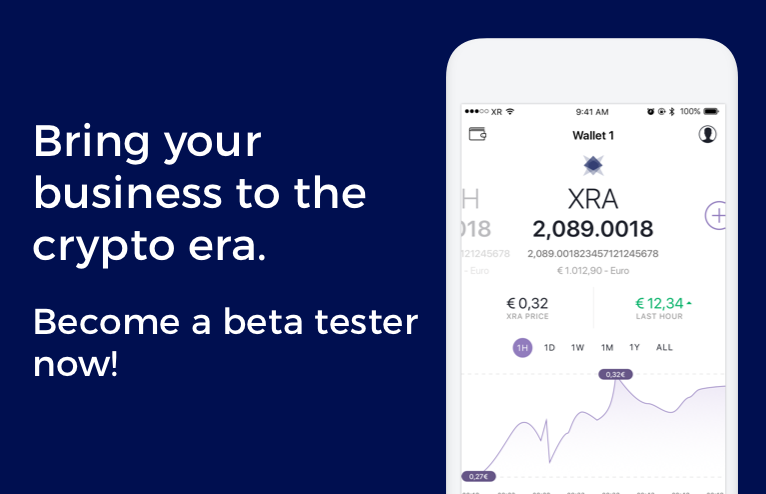 XribaPay, is the first business wallet that converts the value of each cryptocurrency transaction into a corresponding transaction in fiat, associating an accounting document. This allows you to receive payments in crypto and record its correct value within the company balance sheet, without having to worry about volatility compromising your company’s accounting. Hurry, as spaces are limited! Enter your email here and request an invitation!